We may be starting to see more news about 5G technology whose deployment should start in 2019, but 4G LTE coverage and performance depends very much where you live, as we can see from a recent State of LTE report by OpenSignal which gathered close to 60 billions data points out of almost 5 millions phones aroudn the world during the last three months of last year. The new data shows 4G average speed in the top performing country seems to have hit a plateau at around 45 Mbps, but availability keeps on improving across the board. 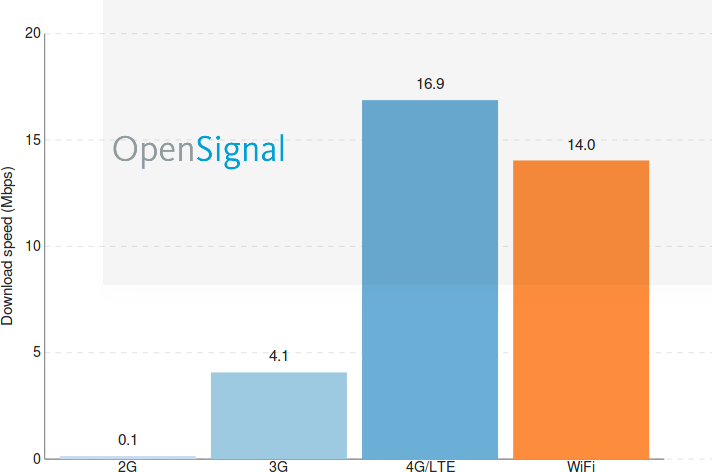 The reports generated two main charts, with the first reporting 4G networks availability per country, not in terms of geographic coverage, but instead OpenSignal tracked the proportion of time users had access to a particular network. 5 Country now have over 90% availability with South Korea, Japan, Norway, Hong Kong, and the United States. Most of the countries with relatively low availability are based in the developing world, and if it should more difficult to get 4G signals constantly in countries such as Ecuador, Egypt, Sri Lanka, El Salvador, and Algeria. The second chart reports the average download connection speed that users in each country see when connecting to LTE networks. The top five countries are Singapore, Netherlands, Norway, South Korea, and Hungary, with the bottom 5 (from the countries covered) include Thailand, the Philippines, Indonesia, Algeria, and India. If we combines both metrics, South Korea is the winner when it comes to availability and speed. 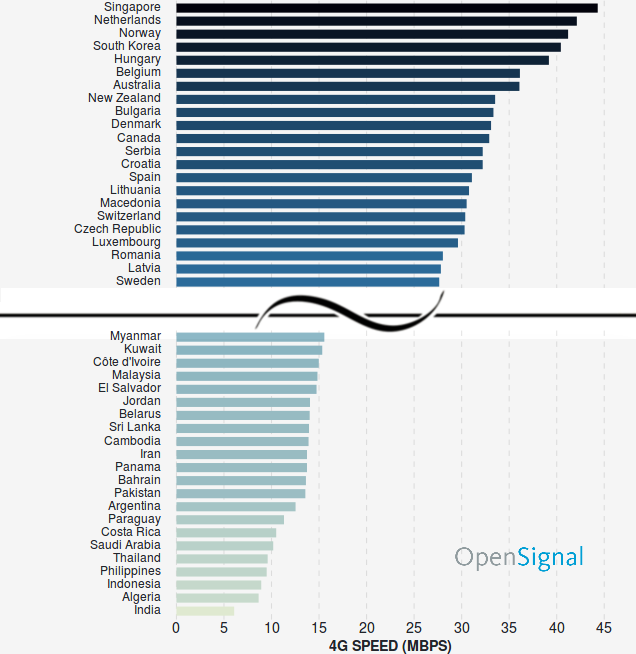 If your country is not in the charts above, go to OpenSignal website for the complete charts, where they also have a world map for both metrics. Another charts also reveals that 4G (LTE only) average speed of global users (16.9 Mbps) is now faster than their WiFi speed of 14.0 Mbps.